Every action has consequences and the greater act the greater the consequence. Imprisoned in a cell within the Fortress of Hera, Uriel Ventris has time to reflect upon the loss of his battle brothers before facing the judgement of his peers. Again, this was a linking story between two of the Ultramarines novels – this time between Warriors of Ultramar and Dead Sky, Black Sun. 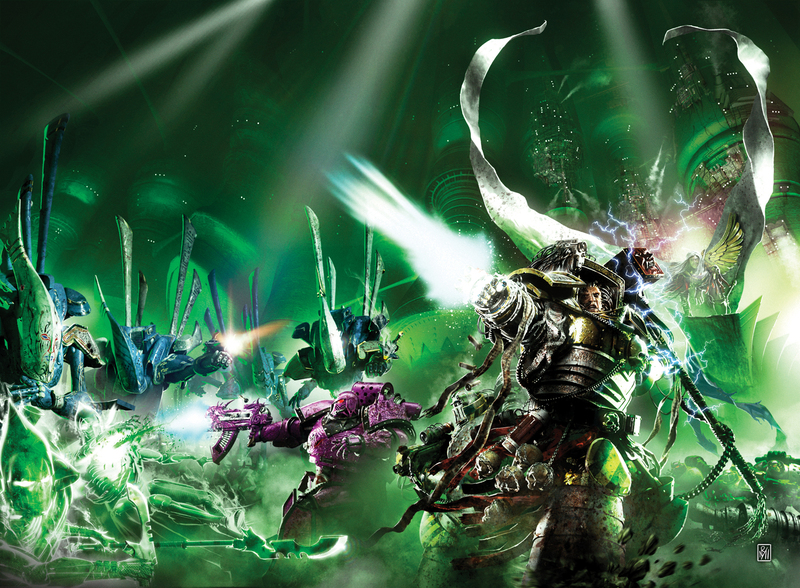 At the end of Warriors of Ultramar, I purposely killed off a lot of the 4th Company since I didn’t want to retreat the same ground I had with the first two novels…I’d burned my bridges so I had to do something different with the third Ultramarines book. In this story, Uriel’s on trial for his life with a charge of breaking faith with the Codex Astartes, the holy tome of the Ultramarines. It was also an experiment to see if I could write a story that didn’t have any combat or people hitting each other with chainswords and was still exciting. It’s a story that’s largely dialogue, but I think still packs a punch in the drama stakes.